Thank you for your e-mail of 24/11/2011 1:41:37 PM to the Justice Secretary in which you seek support for aproposal to roll out your crime prevention initiative, Crimeshare (CSTV) across the country. Your letter has been passed to the Community Safety Unit of the Home Office, for a response. I am sorry that it has taken so long for you to receive a reply. I welcome your determination to develop this initiative, and your efforts to secure support from Local Authorities, MPs and Government Departments, as well as your own personal drive to prevent crime in local communities. 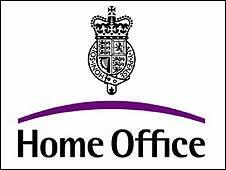 I am afraid that the Home Office is not able to direct Local Authorities to work with organisations. However, it is good to see that you have secured the support of Kent County Council for your pilot scheme. I wish you luck with this.